For adrenaline seekers, Zimbabwe has endless adventures to offer. In just the town of Victoria Falls alone there’s white-water rafting on the Grade 5 rapids of the mighty Zambezi River, bungee jumping, horseback safaris, gorge swinging, zip lining, abseiling and crocodile cage diving. History buffs will love the ancient archaeological site of the Khami Ruins. You’ll be able to walk around atmospheric stone ruins that tell fascinating stories about the country’s past. Mana Pools is also one of the only parks in Africa where you can walk without a guide (although this isn’t recommended for safety reasons unless you have a lot of bush experience). Mana Pools is remarkably beautiful: a riverine wilderness on the Zambezi River of pools, floodplains, baobab trees and forests that feels totally remote and never gets crowded. If you prefer a more sedate way to spot game, staying on a houseboat on Lake Kariba is the answer. These floating hotels cruise the lake’s calm waters and provide a relaxing way of seeing game on the lake shore – either from the comfort of the houseboat deck or from smaller tender boats. Fishing for tigerfish in Lake Kariba is also one of Zimbabwe’s most popular activities. Zimbabwe is home to one of the largest concentrations of elephants in the world. Only Botswana can begin to compete with Zimbabwe as a home of these gentle giants. Zimbabwean people are truly a joy to meet. Friendly, warm and always willing to help, you’ll be guaranteed to make more than a few friends during your safari tour. One of the highlights of a safari experience must be exploring the untamed wilderness on horseback. This incredible activity can be arranged in almost every national park, including the surrounds of Victoria Falls. The Eastern Highlands is also a prime spot for horse riding. One of the best places in Africa to see rock art, the scenically stunning Matobo National Park in the southwest of Zimbabwe has 3000 sites which date back more than 13 000 years dotted throughout a magical landscape of towering granite boulders. 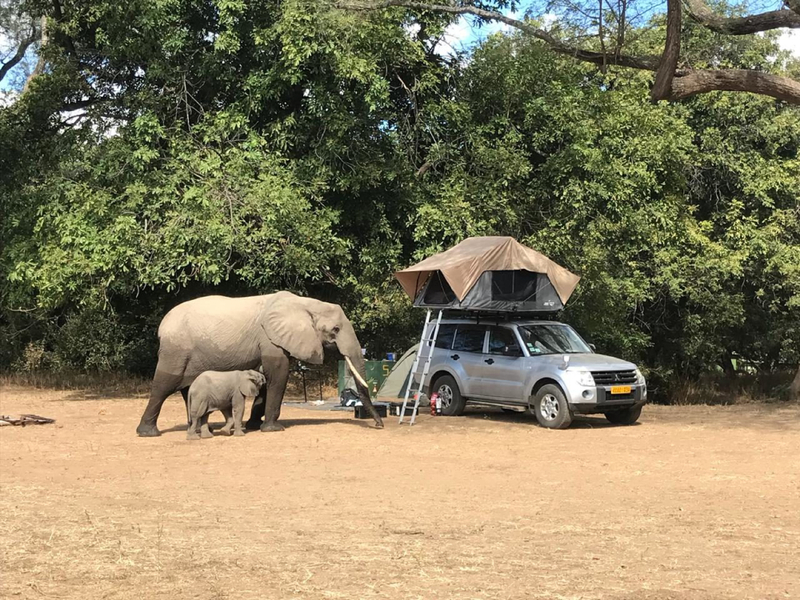 The park is easy to explore in your own car, and it’s also known for its leopard and white rhino sightings and huge number of eagle species.